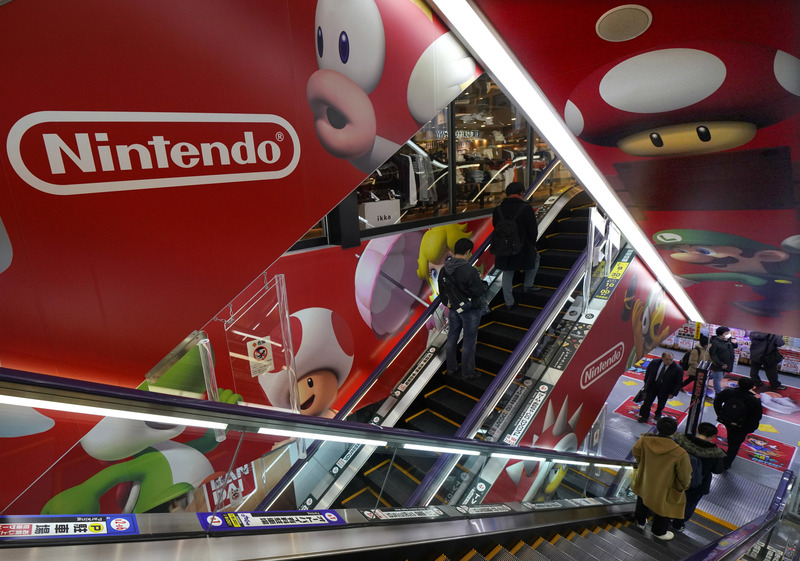 Nintendo said Tuesday its quarterly net profit jumped 43.9 percent year on year to ¥30.6 billion, driven by the global popularity of its Switch console and game titles. 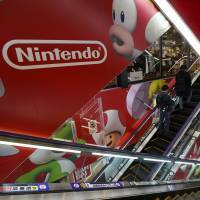 The Kyoto-based game giant reported that operating profit for the three months to June soared 88.4 percent to ¥30.5 billion. It said sales were up 9.1 percent to ¥168.16 billion, and it expects strong demand for the Switch console to continue into the second half of the year. “For Nintendo Switch, hardware sales in every region have been trending upwards since the video game expo, E3, was held in the U.S. in June,” the company said in a statement. “In parallel with an increase in digital sales, software sales also have been moving in good shape towards the holiday season,” it said. In the April-June period Nintendo sold 1.88 million Switch console units, down 4.4 percent from a year earlier, shortly after its launch. At the same time, it sold 17.96 million software units, more than double from the same period last year. Game software sales were driven by “Donkey Kong Country: Tropical Freeze,” which has sold 1.4 million copies worldwide since its release in May, the company said. “Mario Tennis Aces,” released in June, sold 1.38 million units. The Nintendo Labo series, a cardboard construction toy series for the Switch system, sold 1.39 million units, showing promise as the offerings in the series expand, the company said. For the year to March, Nintendo maintained optimistic annual targets, forecasting net profit of ¥165 billion and operating profit of ¥225 billion on sales of ¥1.2 trillion. Analysts said Nintendo is expected to benefit from new software releases. “Demand for Switch is entering a second phase following its explosive initial demand,” Yasuo Imanaka, an analyst at Rakuten Securities in Tokyo, said ahead of the earnings announcement. “Sales of Nintendo Labo are not strong enough to lead its profit, but expectations of the firm’s overall earnings are high as it is scheduled to release potentially powerful titles during the rest of the fiscal year, including a ‘Pocket Monster’ title,” he said.